Home / Shop / Series / Pediatrics - Laboratory and Clinical Research / Alterations in Glucose Homeostasis in Children, Adolescents and Young Adults – What’s New? 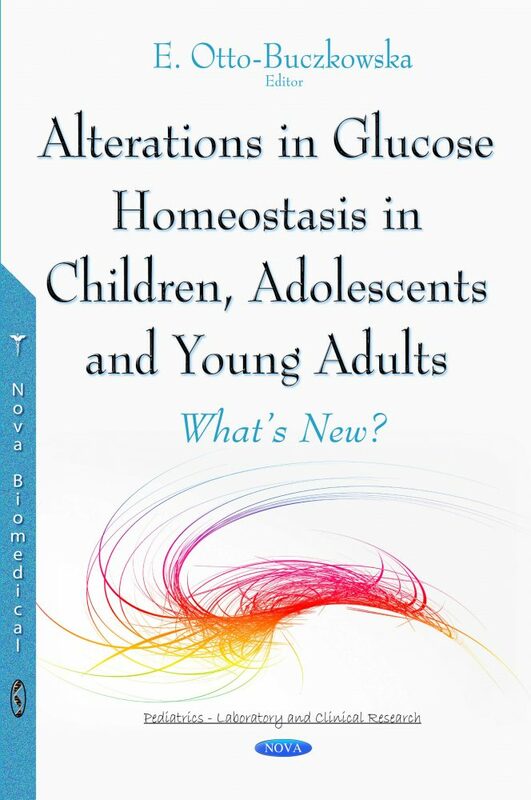 Alterations in Glucose Homeostasis in Children, Adolescents and Young Adults – What’s New? is a book dedicated to the presentation of the latest research on selected issues associated with type 1 diabetes. The authors are well-known professors of Polish medical universities who published numerous scientific papers. Type 1 diabetes is the predominant form of diabetes in young people. It is an autoimmune disease which is particularly aggressive in small children. It is also a pandemic illness characterized by autoimmune, genetic and metabolic abnormalities. It concerns mainly children and young people, and therefore is a condition the patient will have to struggle with for many years hence. This is why it is extremely important to maintain maximum metabolic compensation to delay the occurrence of chronic complications which are an issue not only for the patient, but also for the society as a whole, as they involve a considerable financial burden. At present, we can observe the development of great advances in the treatment of this form of diabetes. Modern insulin preparations have been introduced as well as improved methods of glucose monitoring and insulin delivery. Remission in Type 1 Diabetes - What's New?